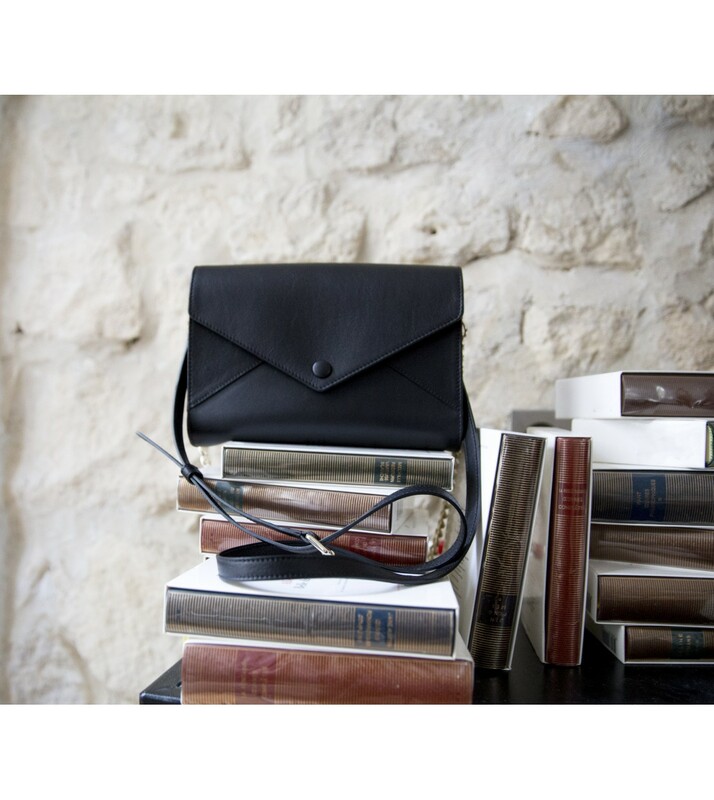 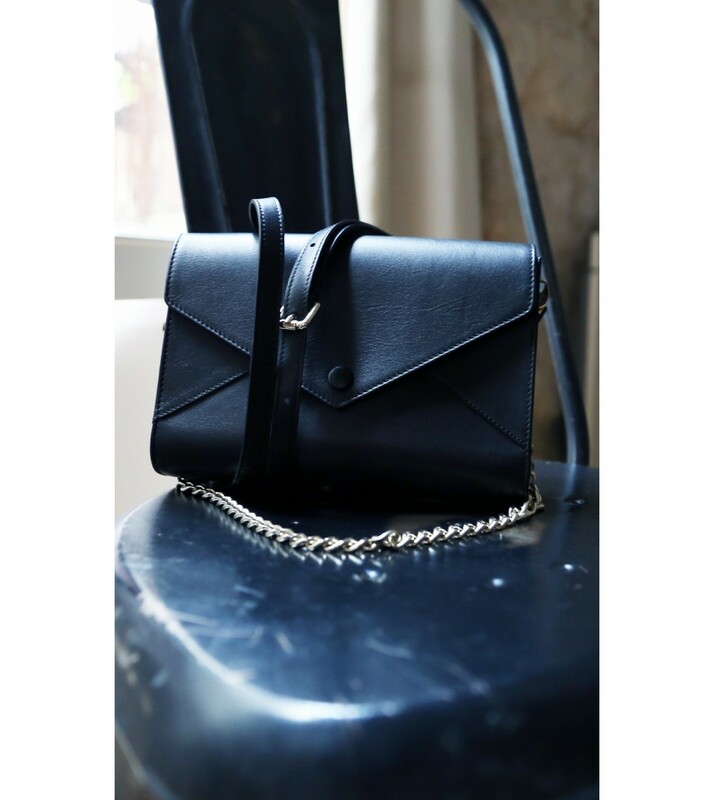 The handbag is an exceptional limited edition piece made in France. 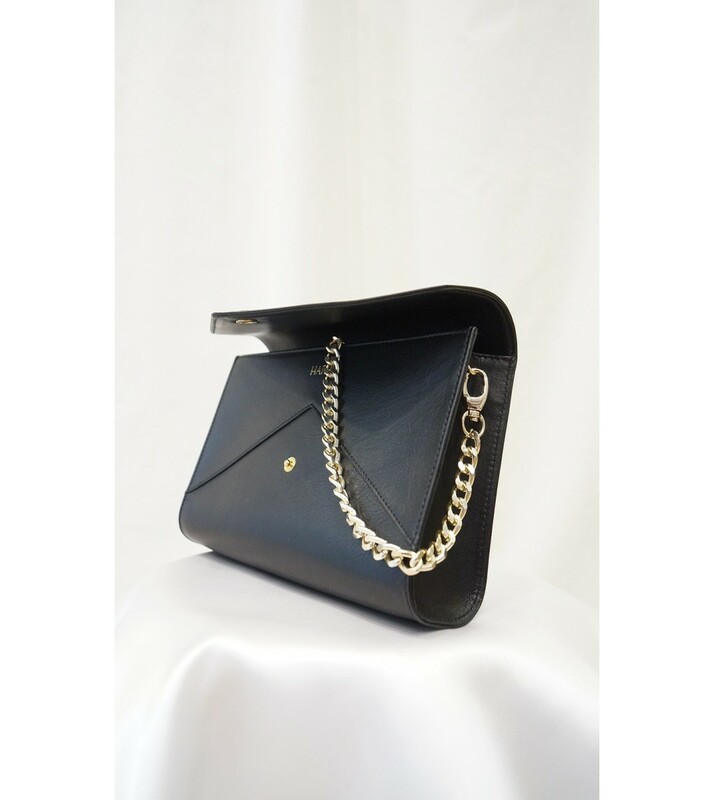 Both cluth and luxurious handbag, it is adjustable with its two handles that you can switch or leave out, or choose to wear both at the same time. 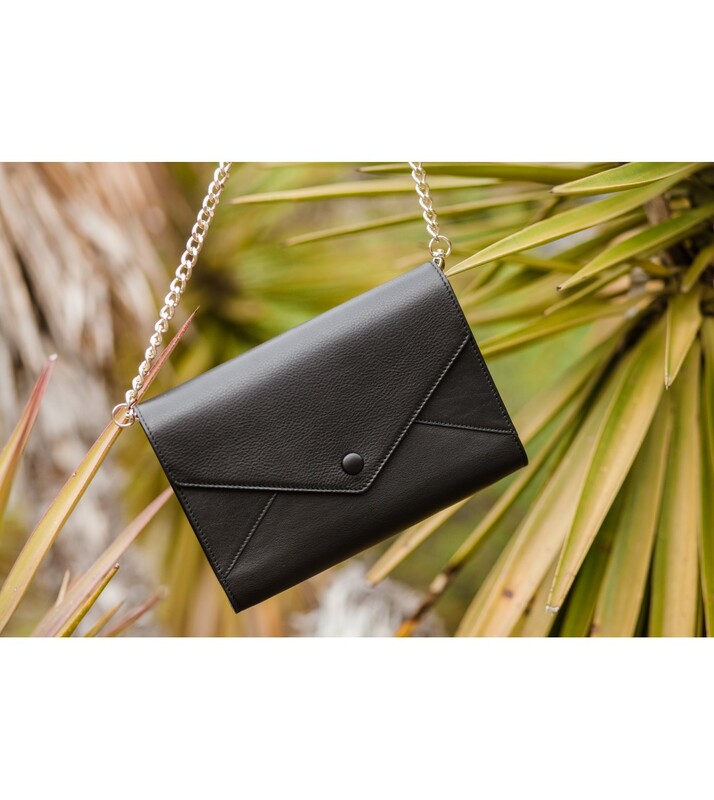 It is made out of a great quality black genuine leather, and is a timeless piece that we studied so it can match both day and night outfits. 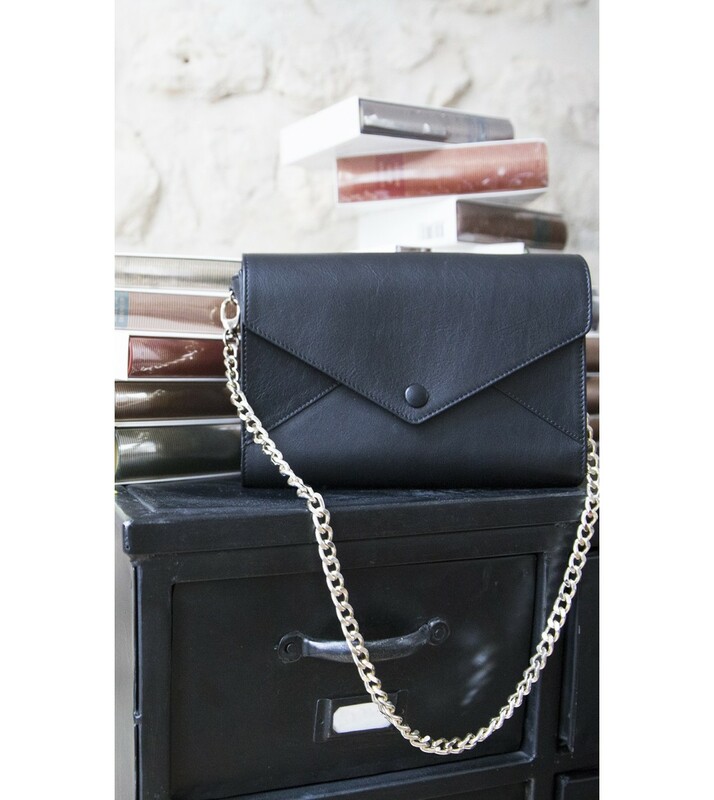 A press-on button allows to close the bag and recalls the covered buttons of the bride that you can find on every Harpe piece. 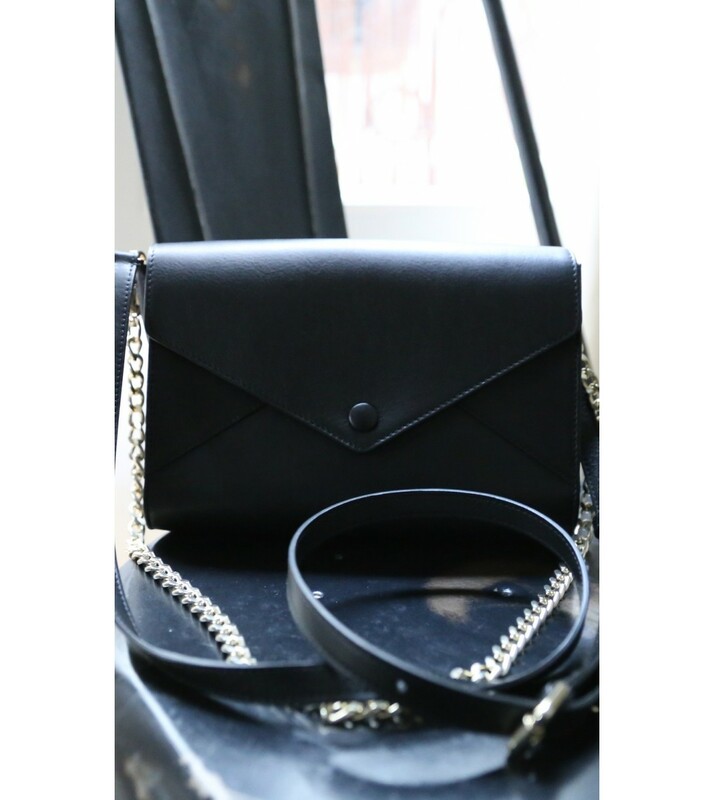 The rose gold details match perfectly with the black leather. 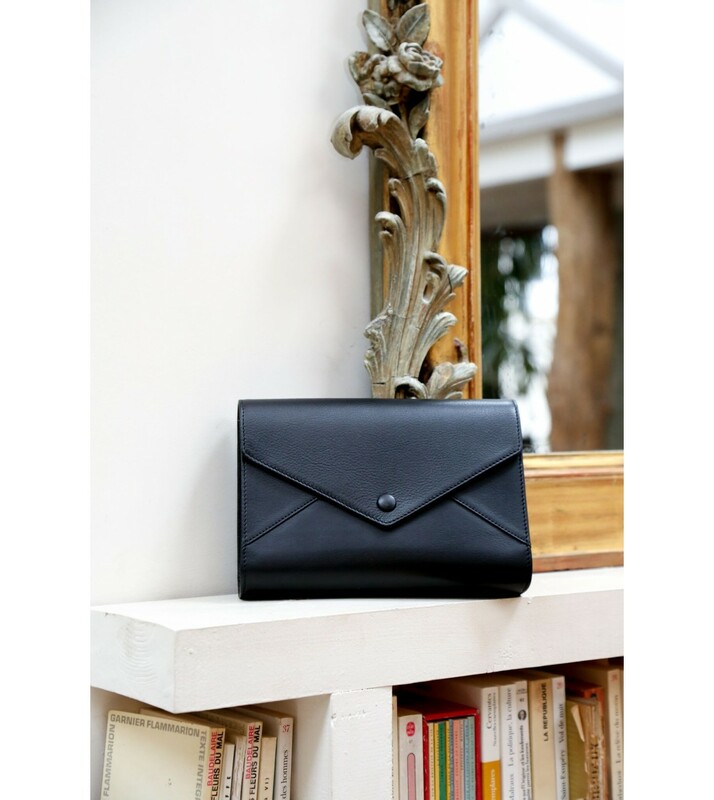 Two inside pockets will be perfect for your cards or small objects. 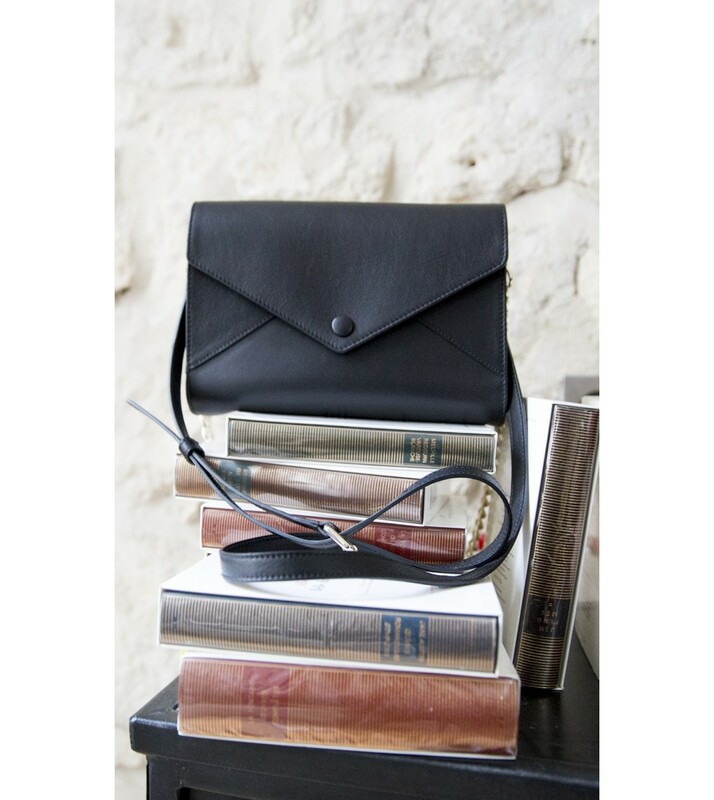 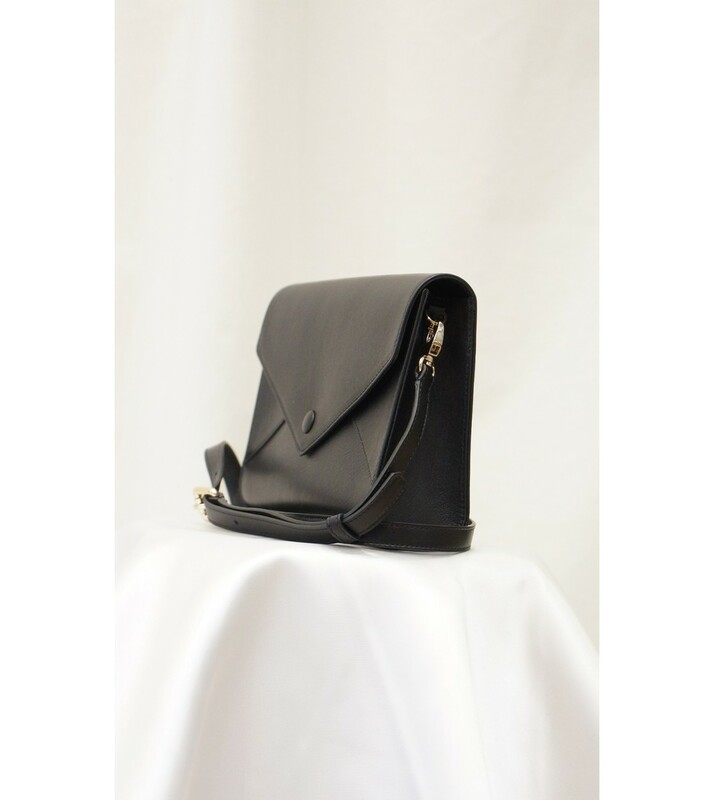 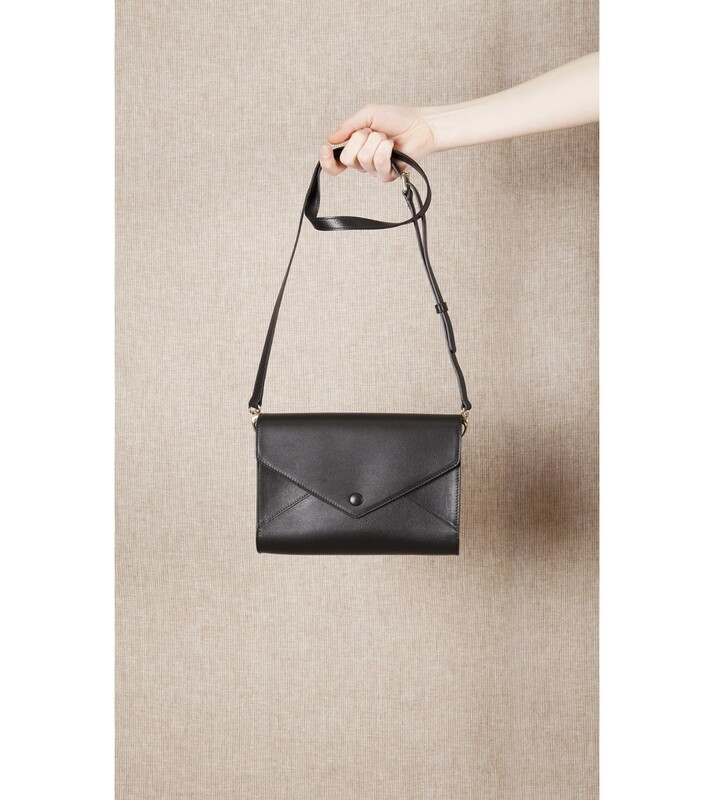 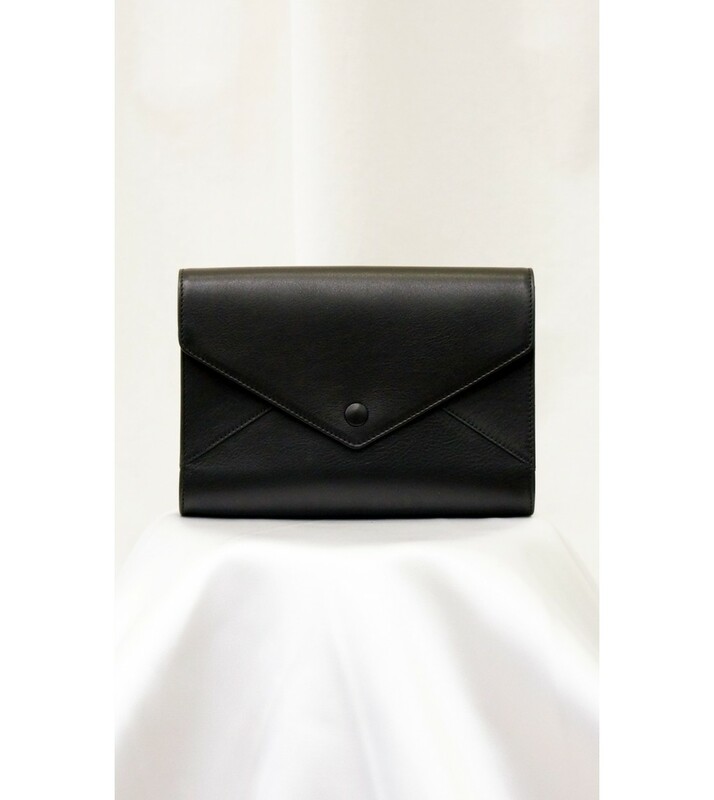 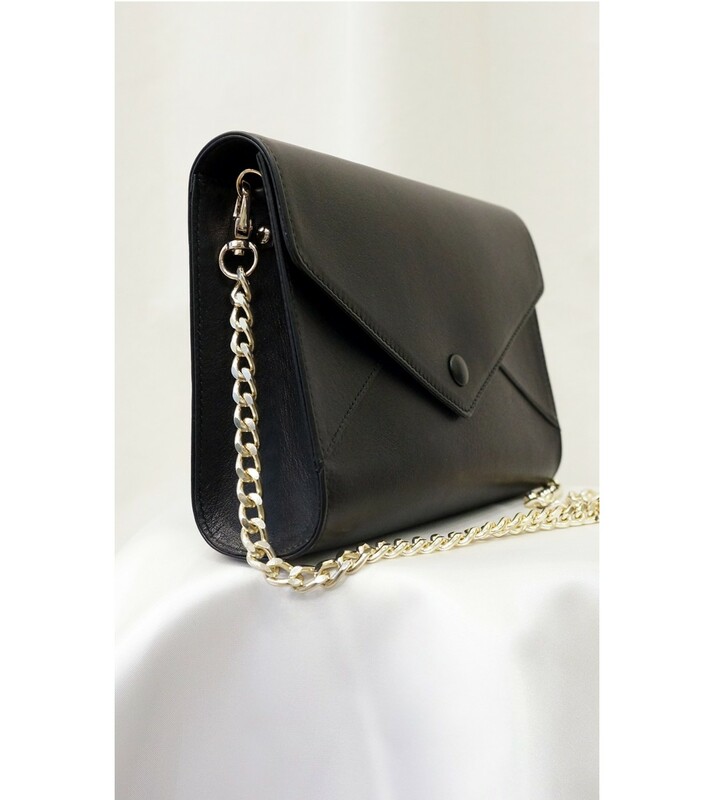 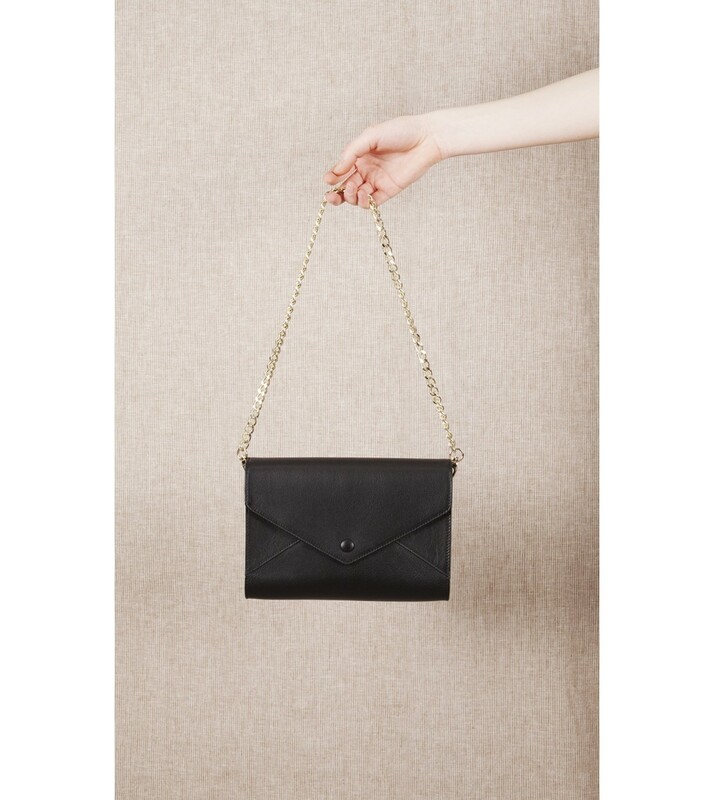 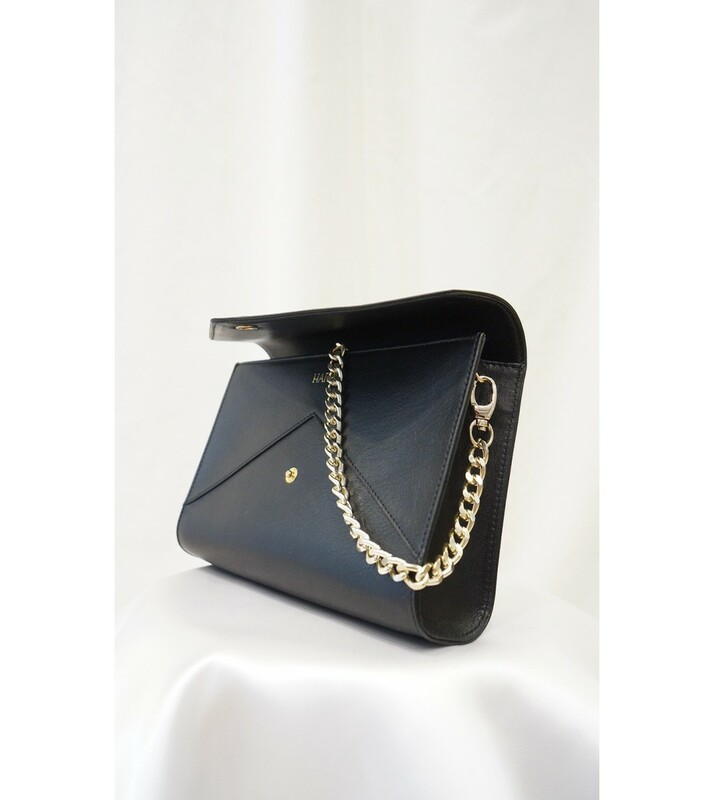 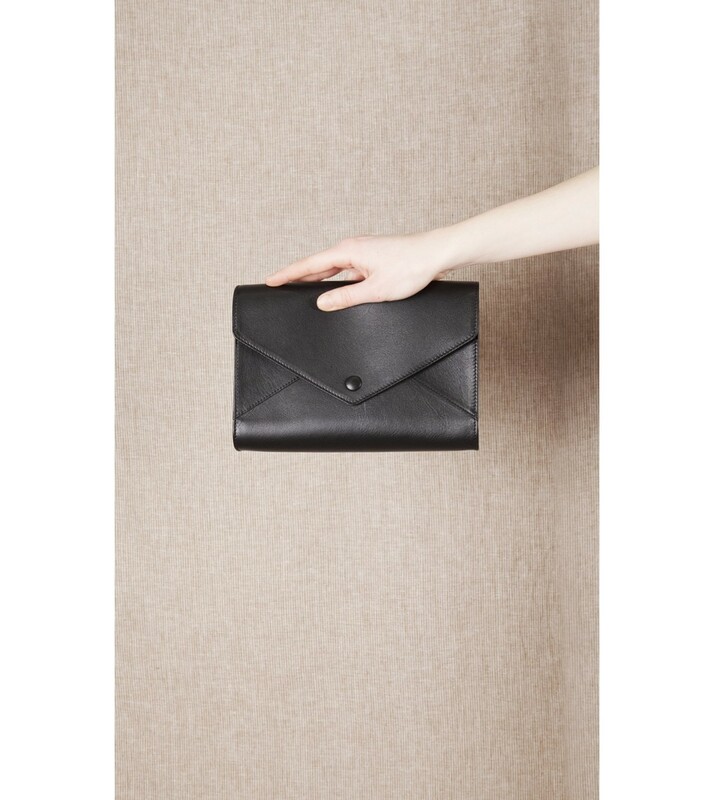 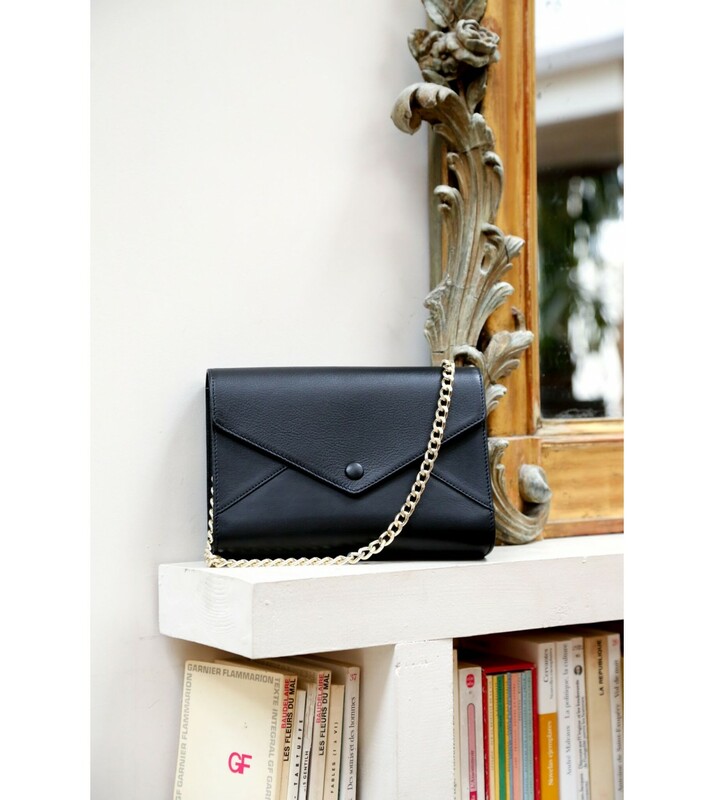 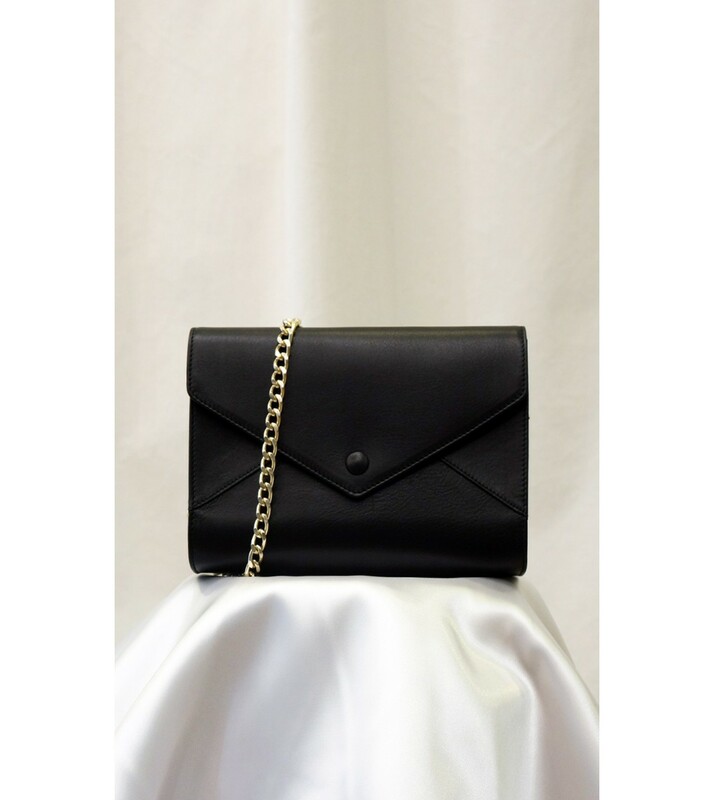 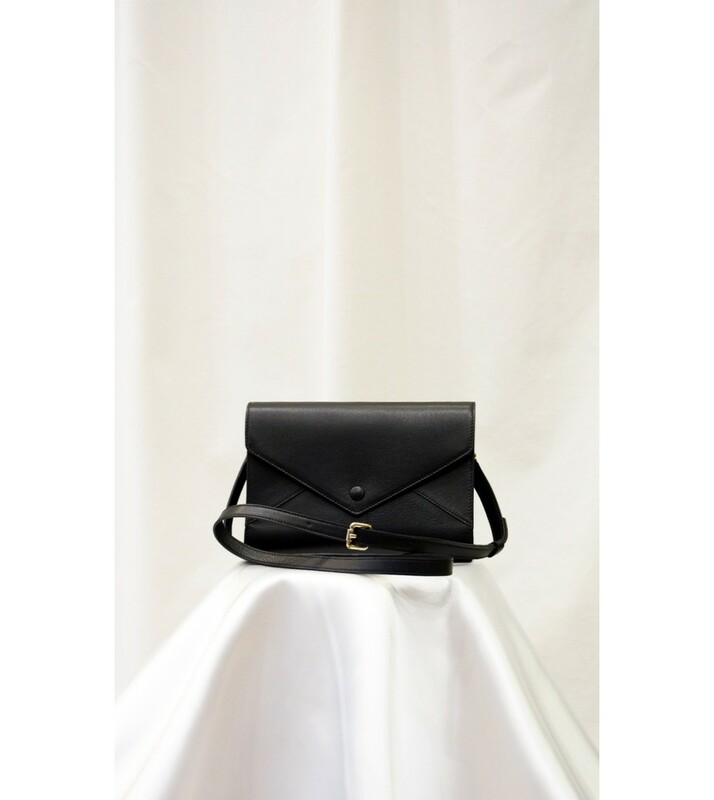 The bag is a retro classic where the cuts are elegant and modern for a romantic look. 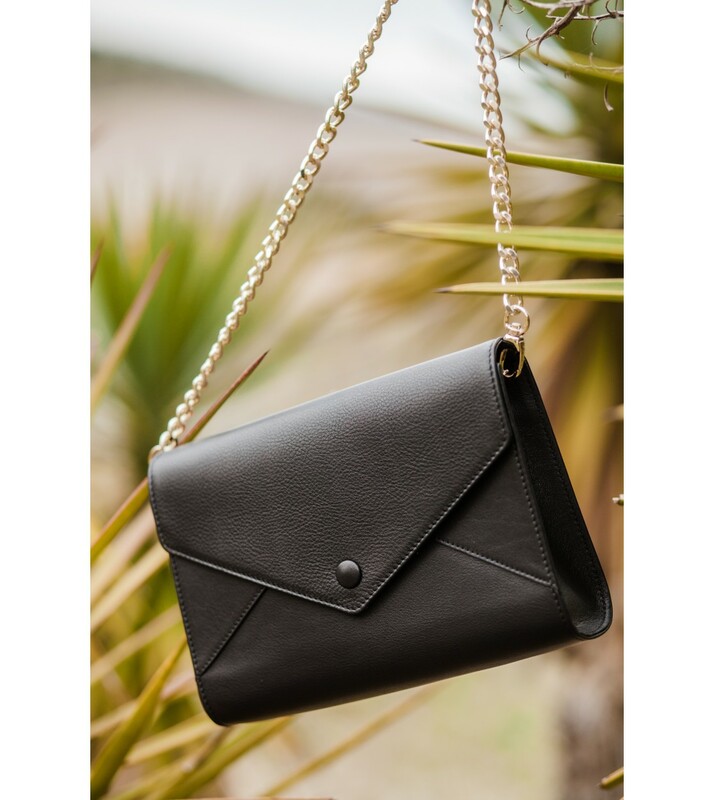 Two straps have been imagined and allow you to switch up the look for any occasion: a pretty clutch during the day, or a classy handbag with a beautiful golden chain or leather strap to dress up your night outfit. 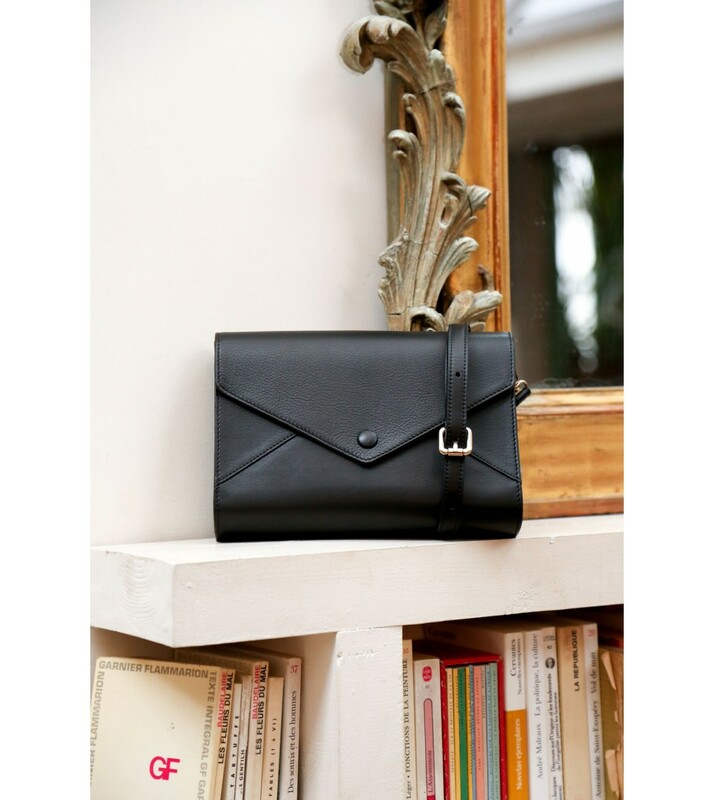 Maintenance: special leather oil. 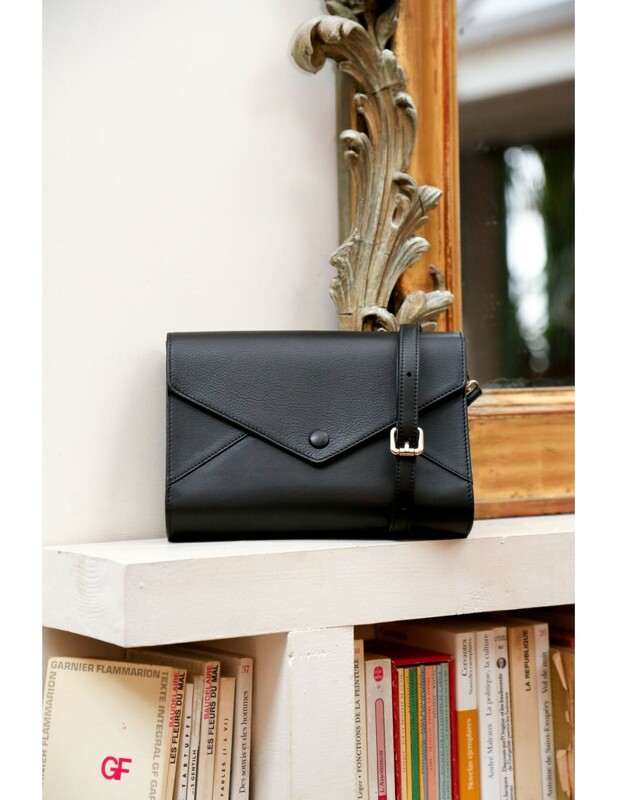 You can clean up the inside pockets with a damp sponge. 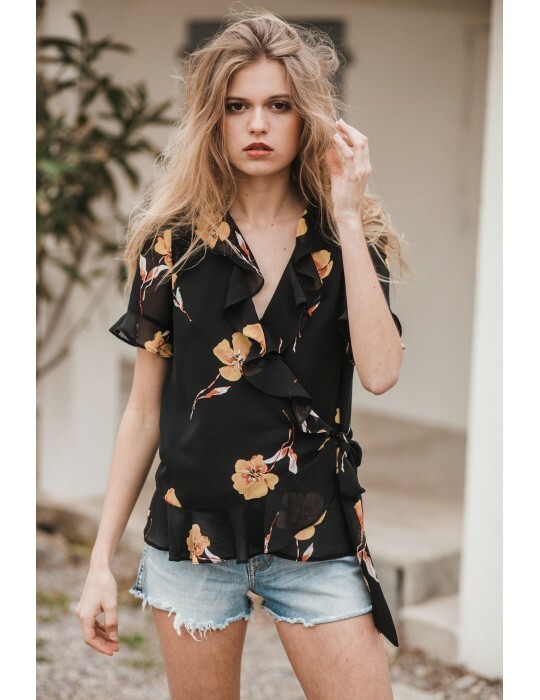 You can also use beewax with a soft cotton.